the local list: Mimosas anyone? 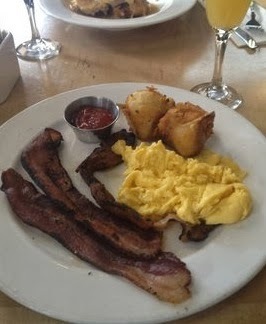 A staple in San Francisco is brunch. It's a meal that no one skips on the weekends. Usually it is accompanied by bottomless mimosas. As my boyfriend's birthday approached, I started searching for a bottomless mimosa place on Saturday. Apparently, Orange County doesn't do Saturday bottomless brunch. I literally found like three places, and none of them with food worthy appeal. We settled upon Memphis in Santa Ana. It was a large party, and they handled us well. For the price of an entree, you could add on bottomless mimosas for only $6. 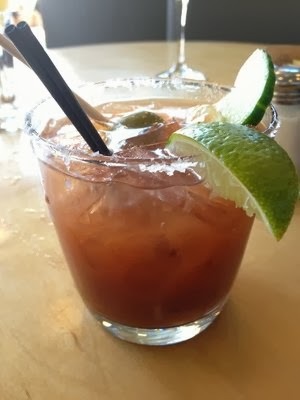 If that isn't your thing, bloody mary's are only $4, and they are pretty well made. 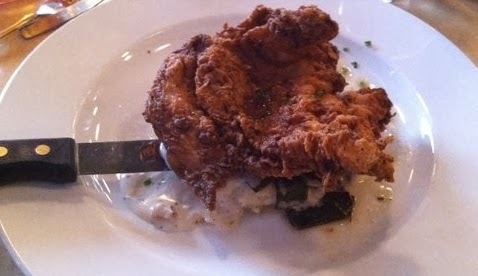 The food was typical brunch items, but I got the fried chicken and waffles and the chicken was great! Waffles were ehh, but the ambiance was fun. The only bummer is this location is closing, as the rents in Santa Ana increase with all the hipsters. There is another location at The Lab but it only has brunch on Sundays. It is definitely a place to check out, and the service and food isn't too shabby. Fun stop for a weekend place! that bloody looks pretty at least. 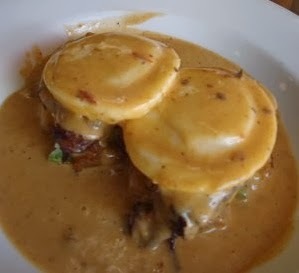 there is a bottomless mimosa place we go to here at the harbor with the odd name of "What a Dish Cafe". they also have a choice of peach nectar mimosas that are yummy good.